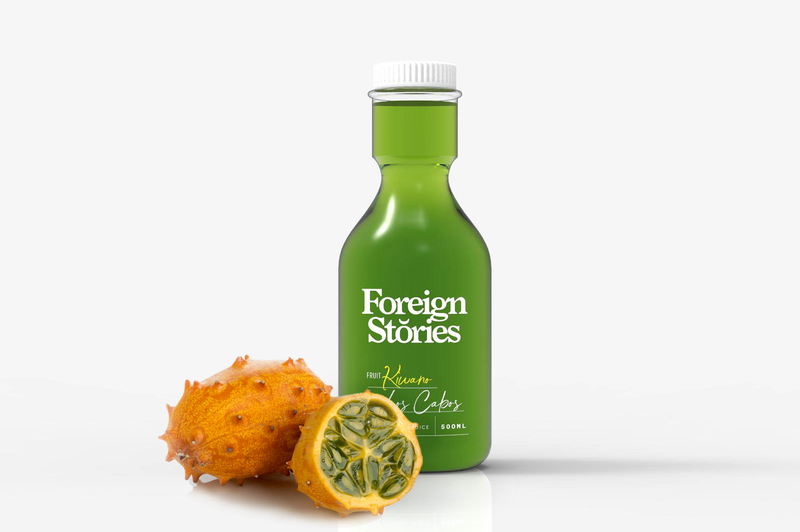 Naming, branding and packaging design (graphic and structural) for an organic juice brand. 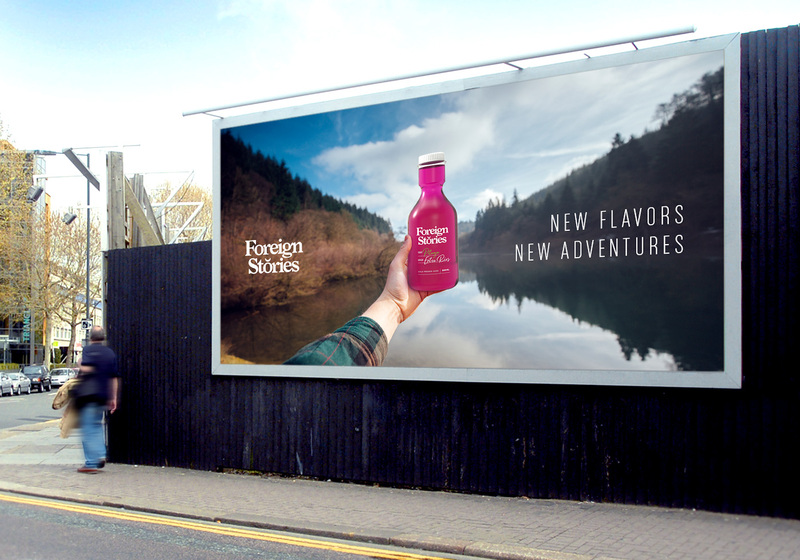 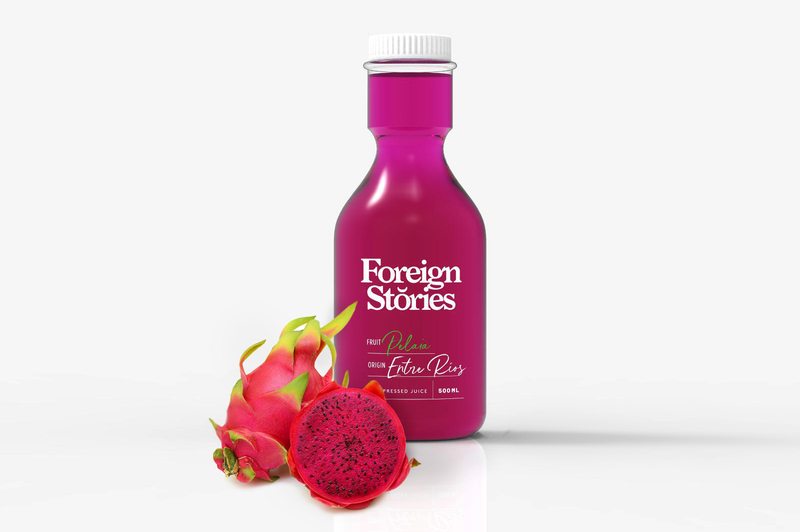 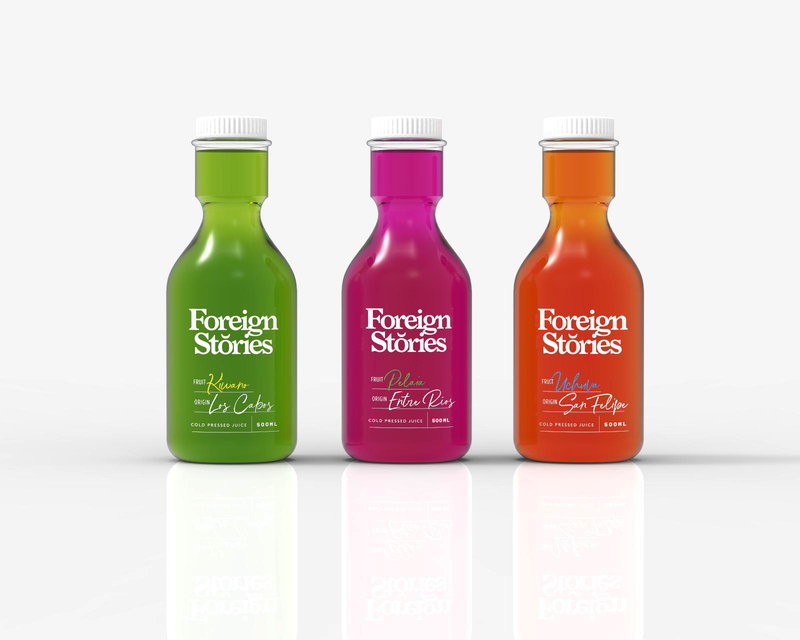 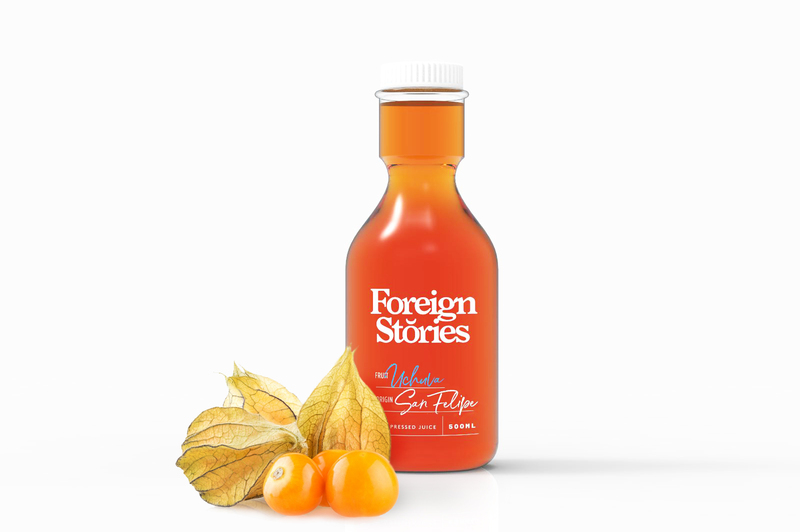 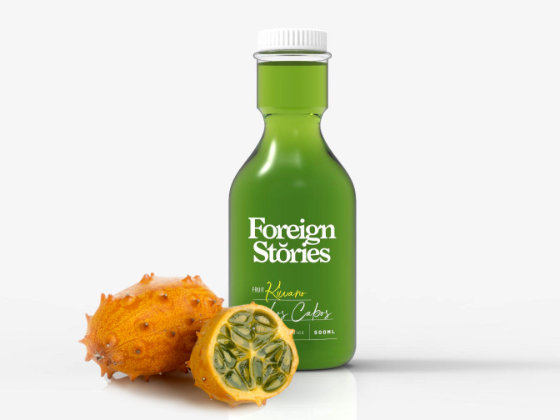 Foreign Stories, which concept relies on selecting exclusive fruits from all over the world in order to produce unique juices, introduces the customer to new flavors, to distant places where they probably haven't been yet. 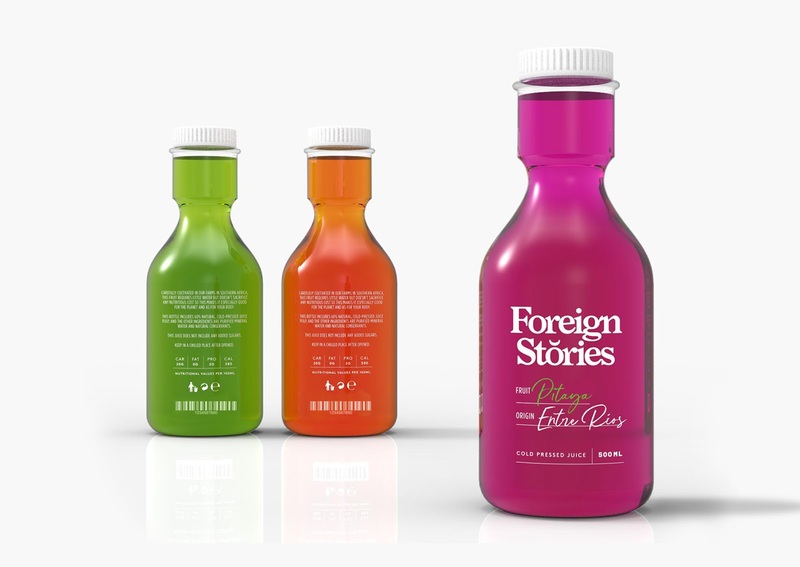 A detailed, careful and sober design has been developed as to highlight the eccentric color of each fruit and to emphasize the wanderlust spirit of the brand.